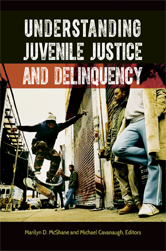 Understanding Juvenile Justice and Delinquency provides a concise overview of the most compelling issues in juvenile delinquency today. It covers not only the range of offenses but also the offenders themselves as well as those impacted by crime and delinquency. All of the chapters contain up-to-date research, laws, and data that accurately frame discussions on youth violence, detention, and treatment; related issues such as gangs and drugs; the consequences for scholars, teachers, and students; and best practices in intervention methods.